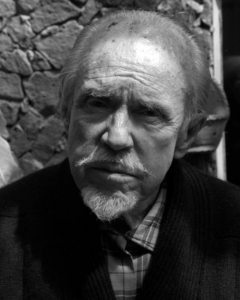 A charismatic figure with a cult following, who fought in the Spanish civil war and then left anti-communist America to live in Mexico City, Nancarrow wrote most of his music for the mechanical player piano, punching his compositions out as holes into rolls of paper. The result was a series of spangling pieces, unplayable by even the best musician, dense with canons, logarithmic-based speed relationships – sensed, if not necessarily perceived by the listener – and a riotous splash of boogie-woogie and other jazz-inspired effects. In his Study for Player Piano No 25 the final 12 seconds contain 1,028 notes, which gives you an idea. More here. Nancarrow’s page in ALBA’s SCW volunteer database is here.